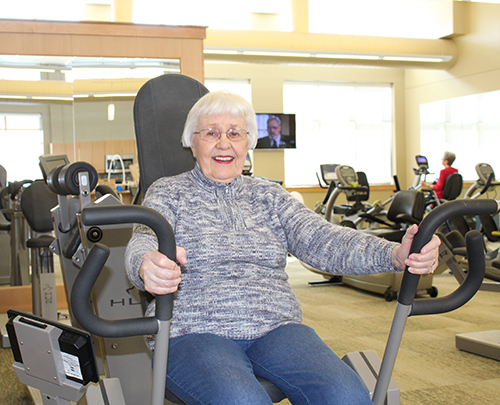 Until Avis Lokken broke her heel and a hip, she seldom thought about exercise. Now those injuries inspire her to move daily. In the winter, you will find her cycling in Eventide Sheyenne Crossings’ exercise room. She pedals for 30 minutes at 8 a.m. and another 20 minutes in late morning or early afternoon. When the weather is warmer, she walks a two-mile loop around campus twice a day. In the cold months, she walks laps inside. Each day, year round Avis averages five miles! 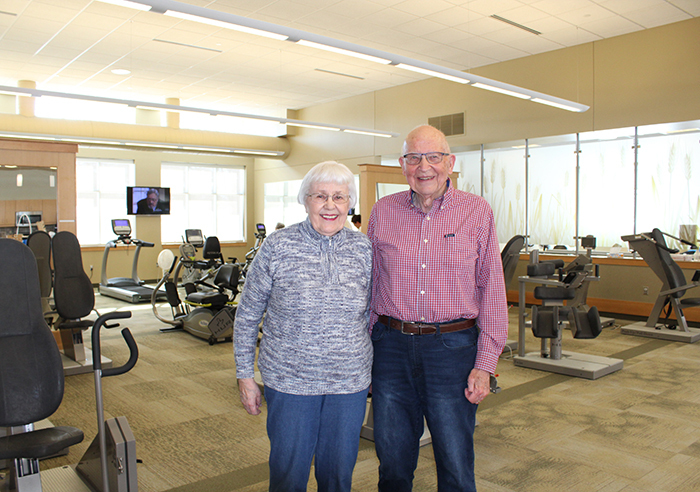 In addition, she participates in regular exercise classes at Eventide Sheyenne Crossings. She lives out the mantra: “use it or lose it.” Avis is devoted to staying active. When Avis moved to Eventide Sheyenne Crossings in 2012, she didn’t even ask about exercise programs or mobility assistance. She moved because she couldn’t see well anymore. Macular degeneration made driving impossible, and her hometown of Tioga, North Dakota, didn’t have bus or taxi services. She decided to move to the Fargo metro area to be closer to one of her children, to have easy access to more public transportation, and to be closer to large medical facilities. Soon after she made Eventide Sheyenne Crossings her home, Avis broke her heel and needed surgery to insert screws. She knew from earlier bone density scans that she was at risk for breaks, but it hadn’t been something she worried about. Then, shortly after being released from the hospital, Avis fell and broke her hip. But Avis was determined to walk pain-free again. That determination combined with rehabilitation assistance at Eventide Sheyenne Crossings supported her healing. “I bounced back,” she says. Once she was walking again, Avis decided to reduce the chances of repeat breaks. That meant making exercise a daily priority. Those exercise goals also helped her fill her days. Avis’s dedication to the gym took her family by surprise, but they are very supportive. As songs of joy and cheer fill the air, not everybody greets the holiday season with jolliness. Even in the midst of celebration, some seniors experience a feeling of depression referred to as Blue Christmas. While there are lots of things to love about the holidays, some seniors may struggle with the season. Health problems or mobility challenges may keep them from participating fully in certain holiday traditions. They may have lost loved ones who made the season special. In these cases, Christmas and other holidays can be a reminder of what has been lost. 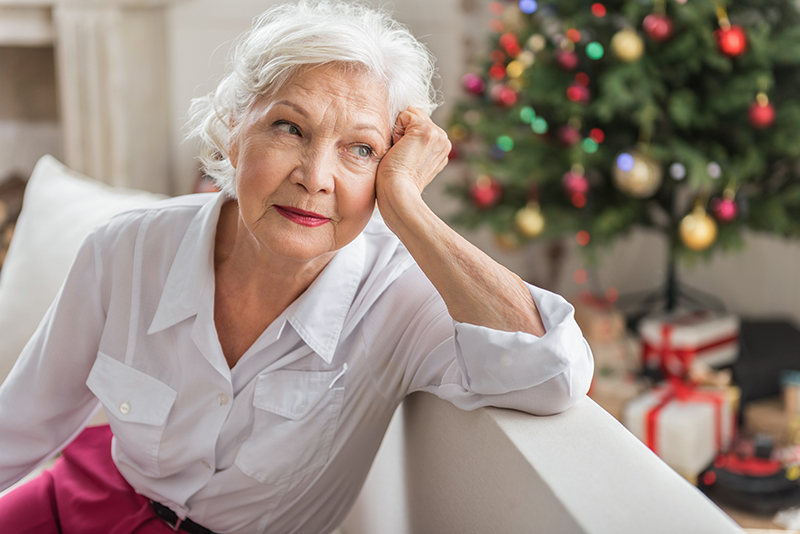 Holiday depression can happen at any age, but seniors are especially prone to it if they have suffered serious physical challenges, lost a loved one, or lost their social network. In addition, the cold, dark days of winter mean many elders don’t go outside as much. Ice and snow can make getting anywhere, including medical appointments, difficult. This contributes to feelings of isolation and sadness. At all Eventide campuses, staff regularly screen residents to make sure depression doesn’t go unnoticed, Sjaaheim says. If residents are struggling in the wintertime, staff may recommend the use of a Sad light or aromatherapy. Residents will be encouraged to meet with a chaplain and to participate in appropriate exercise. If necessary, medication may be prescribed. “We look at how we can help our residents cope with where they’re at,” Sjaaheim says. At times that is as simple as offering a listening ear. Over the holiday season, Eventide campuses host resident Christmas parties and encourage residents to participate in traditions like decorating, baking cookies and watching favorite seasonal movies. At Eventide Fargo, gifts are purchased so that every resident receives something personalized – even if they don’t have family and friends nearby. Thanks to suggestions from the resident council, Eventide Fargo even serves holiday meals family-style, bringing warmth to special holidays. “We make things feel as cozy as possible,” Sjaaheim says. Family and friends also can help loved ones in a senior community adjust to changing realities. If possible, invite your loved one to participate in as many holiday activities as possible. Send cards and letters. If he or she can’t leave an assisted living or long-term care residence, you can help make the holidays more joyful. Attend holiday activities and parties at their residence. Join them for a holiday meal. Be sure to bring them something that symbolizes a favorite holiday tradition. For example, if your family always makes lefse, bring a plate of the special treat. If your family tradition is belting out Christmas carols, spend time singing together. Above all, don’t feel guilty or bad if your loved one doesn’t embrace your efforts with enthusiasm, Sjaaheim says. Visits from family and friends can be another reminder that things have changed, that old family Christmas traditions will be no longer. That said, don’t stop visiting. 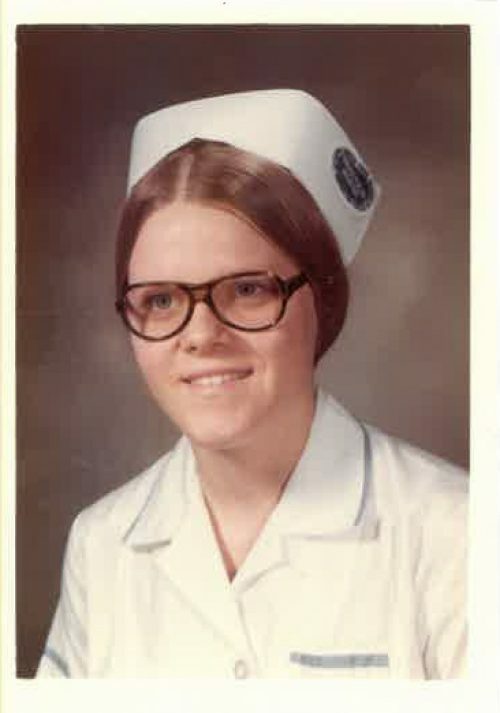 On October 19, 1977 Char Guthmiller started her nursing career as an LPN at Hi-Acres Manor, now Eventide Jamestown. Char wasn’t sure if caring for the elderly was something she wanted to do for a long period of time. Forty-one years later, she is still caring for the elders of the Jamestown community. Char truly believes it was God’s calling for her to care for those we serve. There have been many changes and challenges over the past four decades. From pill bottles to a medication card system; from paper and phone calls to computers, email and fax machines. Through all of these changes and challenges the main focus has always been the resident’s well-being. As Char looks back she cannot believe it has been forty-one years of caring for our residents. 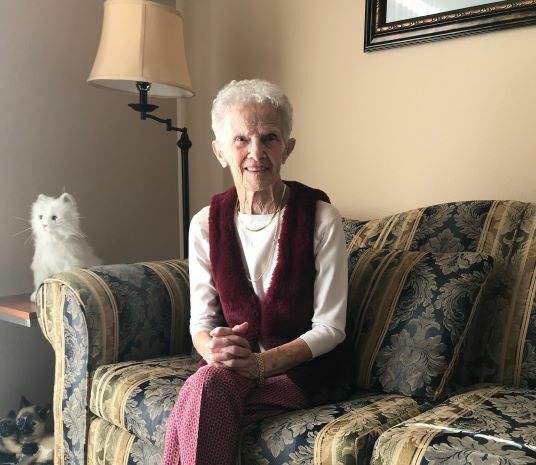 It is even harder for her to believe that some of the residents she is caring for now are the sons and daughters of the residents she cared for when she first started her nursing career. Char is grateful for the wonderful families who have entrusted the care of their loved ones to Eventide Jamestown over the last generations. One of Char’s favorite sayings is, “You’ve either touched someone’s life or someone has touched yours.” This is something that Char sees more each and every day. 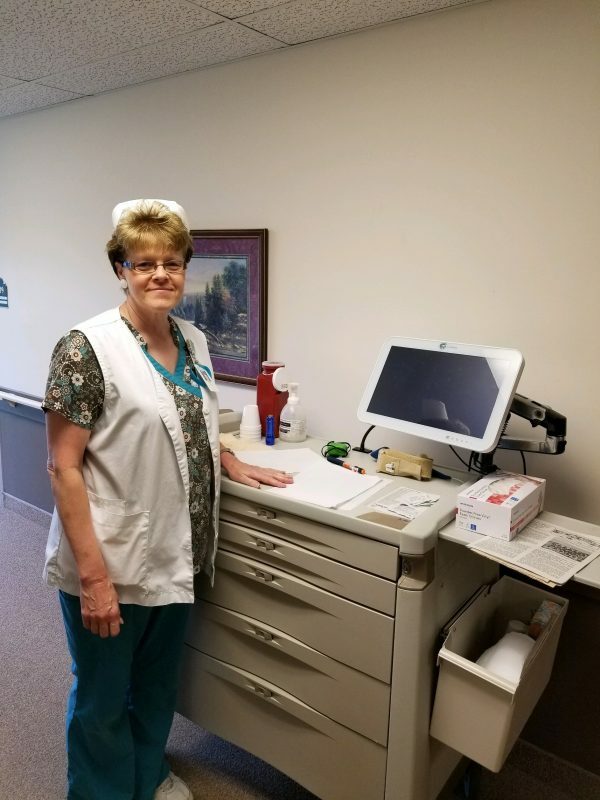 The blessings of touching so many lives is something Char continues to enjoy after her many years of being a licensed practical nurse. We are so fortunate to have Char as part of our Eventide family. During times of transition, spiritual support can play an important role in comforting people. That’s true at any stage of life. 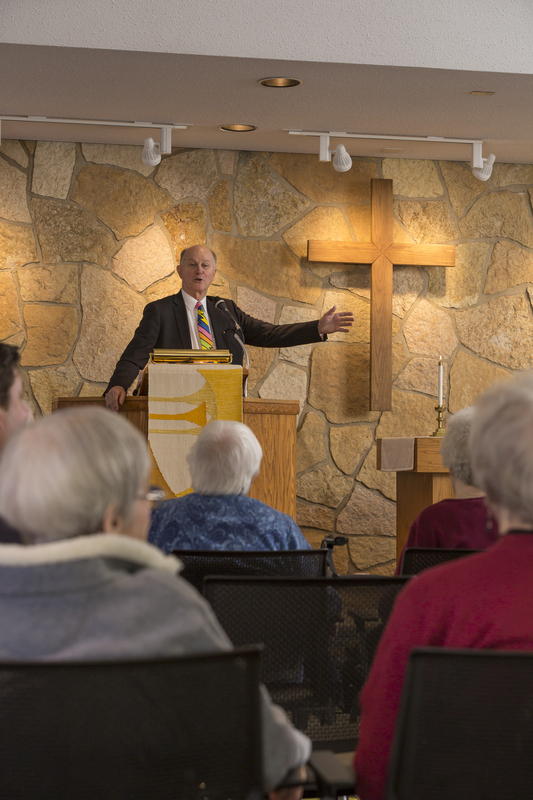 At Eventide Senior Living Communities, chaplains lead the way for providing spiritual care to residents. Spiritual care includes worship services, Bible studies, and so much more. Familiar rituals and traditions like worship and holiday celebrations provide opportunities for fellowship and connection. These help to build community. While Eventide is proud of its Lutheran heritage, worship and Bible studies are inclusive of people from all faith traditions. But spiritual care is much larger than worship. 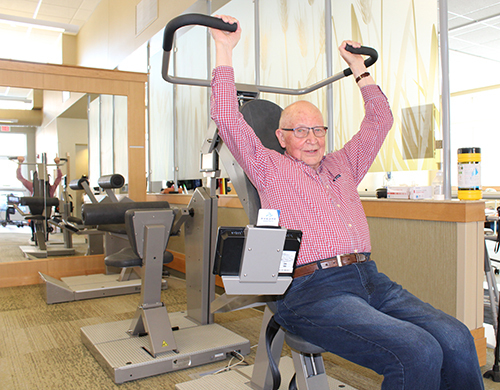 Eventide seeks to help each resident find wellness in body, mind and spirit. Its chaplaincy services are key to making sure the latter is addressed. Eventide’s two full-time chaplains accompany residents as they seek meaning in life while navigating through this stage of life’s journey. The spiritual needs of those who move into a senior living community are vast. Some are ready for the change and look forward to joining a safe community. Others struggle with chronic diseases or loss of independence. Who am I now? Who do I belong to? What’s my purpose? What is my worth? Reflecting on these questions gives residents an opportunity to work through stages of grief and loss. Perhaps a loved one has died or maybe someone has broken relationships or disappointments to address. Streed often starts conversations simply: Do you have regrets? Would you change anything? What advice do you have to share? Residents with lifetimes of experiences have meaningful responses. One woman told Streed this advice: 1. Accept aging; 2. Do one thing today; leave one thing for tomorrow; and 3. Get your dander up once in a while. Streed sometimes finds residents who are wrestling with an issue that wasn’t addressed earlier in their life. He compares it to Jacob wrestling with God in Genesis 32. Spiritual care can offer tools for doing that. Eventide’s spiritual support extends to family members and staff, as well. Families may struggle with a decision to move a loved one into assisted living or long-term care. 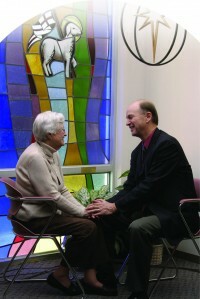 Chaplaincy services can help them come to peace with their decisions. Support staff, too, have asked for assistance when a beloved resident passes away – or even for happier occasions, such as weddings and baptisms. Chaplain Steve Streed has spent his career learning at the feet of the greatest professors in the world. Those professors are the residents of Eventide Senior Living Communities, where Streed has worked for nearly three decades. Streed serves as one of two chaplains at Eventide. He leads Sunday and Wednesday worship services plus weekly Bible studies. He makes calls to residents in hospitals and hosts family support group. He participates in pulpit exchanges, bringing the face of Eventide to area churches. But Streed’s true ministry happens during day-to-day interactions as he builds relationships with residents, their families and staff. “I’m always wondering how can I walk beside a person, how can I support them best?” he says. So, he listens, observes and learns – just as he does when he fly fishes in his spare time. Streed never expected to be a pastor, much less a chaplain. He dreamed of becoming an artist, possibly following in the footsteps of his father, a commercial artist. Life took a twist in college and he found himself heading to seminary. “God chose me,” he says. After seminary, he served in a rural parish and a more urban one. When Eventide opened its search for a chaplain, Streed decided to apply. He never left. Ministering to those in a senior living community setting has proven rewarding – even though time has led to changes. In recent years, the average length of stay for a resident has become shorter, meaning he has less time to get to know them. He now spends more time with families who may be working through guilt or grief. There’s one down-side to the calling. But that doesn’t mean his vocation is somber. Instead, he encourages residents and those he works with to embrace their inner child. Curiosity and fun are important at every stage of life. And he always wears a wacky tie – something like Donald Duck or Goofy – that captures the attention and imagination of residents. It’s usually the first thing residents at the breakfast table will ask to see when he arrives to the office. A couple of years ago, Streed accepted the District C Caregiver of the Year award from LeadingAge Minnesota. The award honors those who enhance and enrich the quality of life of older adults in their care. Streed is honored by the recognition but insists it is his life that has been enriched. Gale Scherbenske, of Eventide Jamestown, has been honored with the North Dakota Long Term Care Association Caregiver of the Year award. This distinguished honor is awarded to caregivers who are recognized and nominated by residents and/or families. Gale has been an Eventide Senior Living Apartments team member for one year. She officially serves as the office assistant, but is always willing to fill in other roles such as activities coordinator, dining assistant, housekeeper and cook. Gale has true passion for the work she does and she exemplifies this every day. She is an advocate for residents and treats them all with love and compassion, always wearing a pleasant smile. Gale has a wonderful rapport with all she is in contact with, earning the trust that is so integral when it comes to caring for others. Gale was nominated by numerous families and residents. 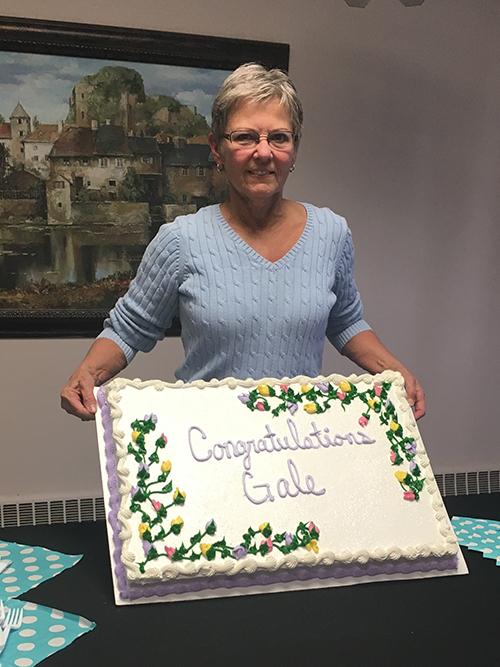 Eventide Jamestown held a celebration in honor of Gale and her award on March 2, 2018.